Happy babies on the set! Isn't it cute? 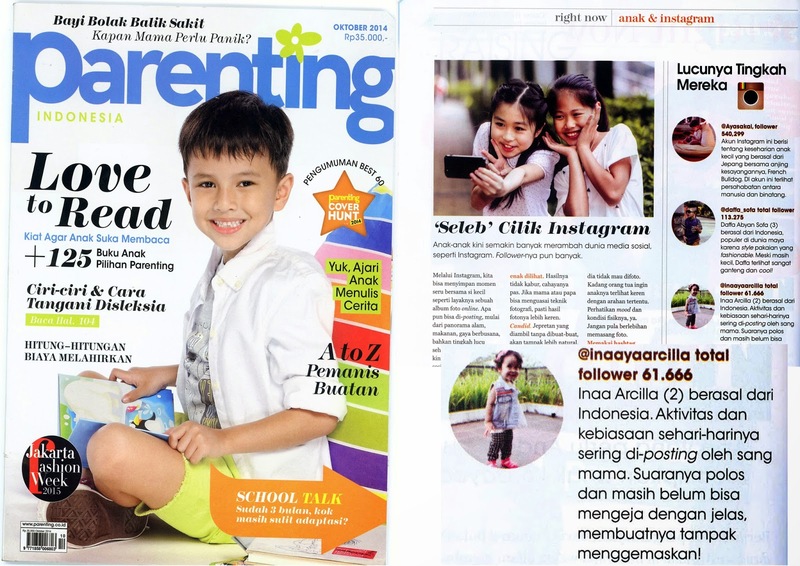 Last week i got a phone call from one of the leading baby magazine in my country. They offered my baby to filming for their newest TVC on Tuesday, 17 September 2013. I was really excited so i keep my baby on the rest-mode for a full week. By the way, the situation on the picture is lasted only for 5 minutes before one baby fell backwards and everyone's start to cry (Unless my baby, she's a thought one HAHA) Wow, the crying sound is like a crazy virus because once the baby cries, the other babies will also crying (Unless my baby again :p) To be honest, it was so frustrating to hear all the babies cry at the same time but i was laughing behind the set because i saw Naaya was playing happily with her blocks and she don't even care about them. The raging babies around her threw all their toys out, and freakin' out. Omg, they are so irrational! The production team start to filming my baby on the set because she's the only one who wasn't crying. I keep on seeing the crew coming with a big smile and said, "Wow, she's really amazing!" I was beyond belief and proud of her. She's not even pooping and keep smiling and laughing on the set. She also playing peek-a-boo by herself and the camera loves her! One baby named Rakha finally made it into his comfort-zone and coming to the set. Awch, way too cute! Other babies start to coming on the set and i am sorry to say that they are just so hard to deal with. They are so cute but they keep on crying after 3 minutes sitting on the fluffy carpet :( I was just afraid those raging-babies would make my baby feel uncomfortable around. Well, but it's one of a pleasant experience for me and my baby. Looking forward to hear another commercial-calls in the future, LOL! See you guys again on another posts! Nayaaaa kmu kok lucu bgt sih dek..